In a recent issue of Physical Review A, Argonne researchers reported a new method for alleviating the effects of "noise" in quantum information systems, a challenge scientists around the globe are working to meet in the race toward a new era of quantum technologies. The new method has implications for the future of quantum information science, including quantum computing and quantum sensing. Many current quantum information applications, such as carrying out an algorithm on a quantum computer, suffer from "decoherence"—a loss of information due to "noise," which is inherent to quantum hardware. Matthew Otten, a Maria Goeppert Mayer Fellow at Argonne, and Stephen Gray, group leader of Theory and Modeling at the Center for Nanoscale Materials, a U.S. Department of Energy Office of Science User Facility, have developed a new technique that recovers this lost information by repeating the quantum process or experiment many times, with slightly different noise characteristics, and then analyzing the results. "It's like taking a series of flawed photographs," said Otten. "Each photo has a flaw, but in a different place in the picture. When we compile all the clear pieces from the flawed photos together, we get one clear picture." "This is a versatile technique that can be done with separate quantum systems undergoing the same process at the same time," said Otten. "One could create several small quantum devices and run them in parallel," said Gray. "Using our method, one would combine the results on the hypersurface and generate approximate noise-free observables. The results would help extend the usefulness of the quantum devices before decoherence sets in." 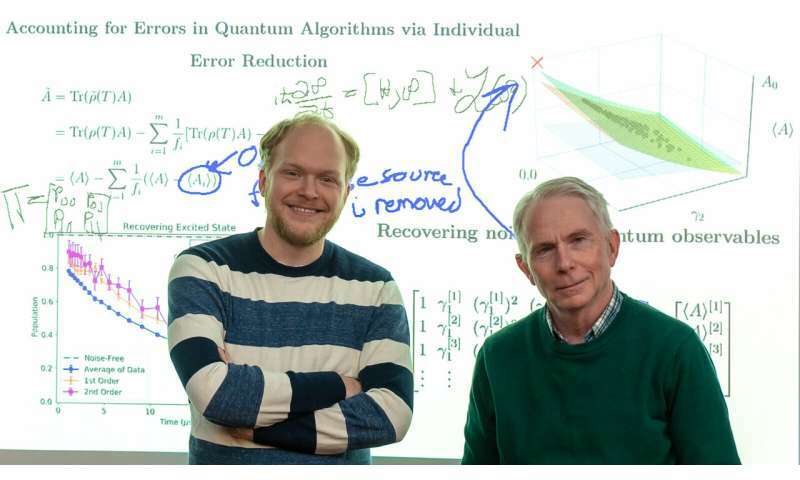 "We successfully performed a simple demonstration of our method on the Rigetti 8Q-Agave quantum computer," said Otten. "This class of methods will likely see much use in near-term quantum devices." The researchers' work described above appears in Physical Review A and is entitled "Recovering noise-free quantum observables." 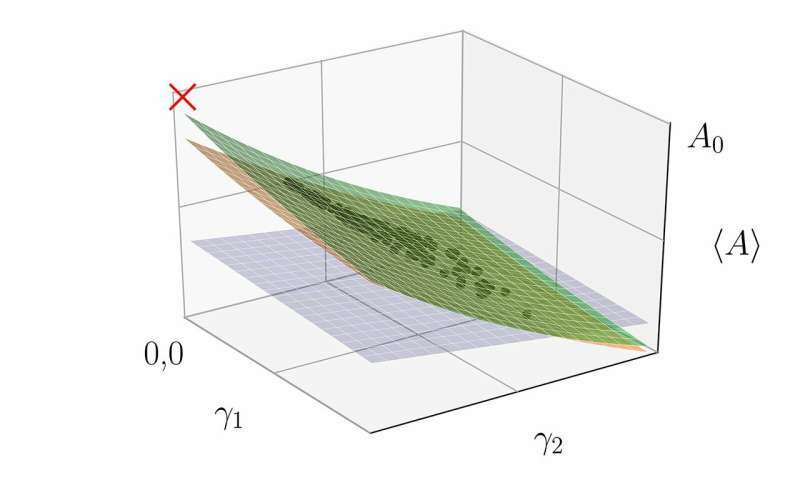 "In this approach, we assume that the noise can be reduced on each qubit individually, which, while experimentally challenging, leads to a much simpler data processing problem and results in an estimate of the noise-free result," noted Otten. If you have to do the quantum calculations over and over to arrive at a reliable answer, perhaps instead you should have used a computer with built-in averaging over a large number of quantum processes. You know, a classical computer. The unspoken part is, probably going to come down to not knowing how this preference choice making.... and then compiling.... might affect the question and answer set. That they've committed to a mechanistic change, and what is the effect of doing so, outside of the question and answer set alone? It's probably the next step to address but I'm not sure I see the article addressing that coming aspect? m*O(log(n)) beats out O(n) any day of the week.